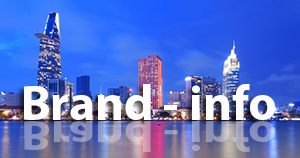 HÀ NỘI — The world economy was continuing to maintain its growth momentum, opening up many opportunities for co-operation but also posing new challenges. Trade disputes remained complicated and required parties to hold talks, strengthen trust and obey international laws, said Prime Minister Nguyễn Xuân Phúc in Shanghai, China on Monday. Speaking at the opening ceremony of the first China International Import Expo, Phúc said over the past 40 years, China had embarked on reforms and opened up the country, making great achievements in socio-economic development and contributing to global growth. He said China had proposed and implemented many co-operative initiatives to promote economic and trade ties, regional connectivity and responses to the challenges of regional and global economic growth. Việt Nam thanked China for organising the First China International Import Expo that promoted win-win cooperation with mutual benefits, boosting economic and trade co-operation as well as promoting regional and global economic growth, said Phúc. The Prime Minister pointed out that being a friendly and close neighbour, Việt Nam always attached great importance to solidarity and the development of co-operative relations and stability. He asked China to promote economic growth and trade on the basic of sustainable development and mutual benefits. “Việt Nam supports open multilateral trade with transparency and equality based on World Trade Organisation (WTO) regulations,” said Phúc. “Việt Nam also supported liberalisation, trade facilitation and investment, creating a favourable business environment and actively contributing to peace, stability, co-operation and development in the region and the world,” he added. At the event, Phúc informed the 18 leaders and more than 3,000 businesses from 130 countries and territories of some of Việt Nam’s achievements in socio-economic development and international integration. 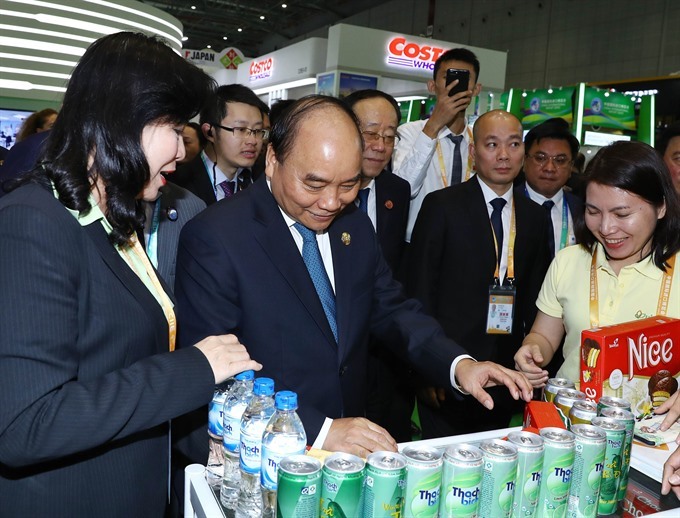 He said many Vietnamese businesses were participating in the fair to introduce agricultural products, seafood, processed foods and consumer electronics. Phúc said that through the trade fair, businesses would understand more about Việt Nam’s products and potentials, and promote trade co-operation, sustainablility and mutual benefits. Chinese Party General Secretary and President Xi Jinping emphasised the expo was being hosted by China to benefit the world. He stressed that it was not an ordinary expo, but a major policy for China to take the initiative to open its market to the world. He said that China was ready to join hands with other countries to build a new forum for trade and economic co-operation through this event, jointly preserving the multilateral trade regime and economic globalisation and promoting the world economy to develop in an open and more inclusive manner, with mutual benefits and win-win co-operation. The president said that China would continue to promote global openness as a stable momentum for global growth and as a major market for other countries. It would promote openness in all aspects, take the initiative to expand imports and loosen open market standards in order to create a leading business environment on the basis of respecting international business practices, as well as multilateral and bilateral co-operation. It would also encourage Chinese enterprises to invest and co-operate in countries along the Belt and Road Line. The first China International Import Expo in Shanghai is one of China’s four largest foreign events in 2018, which was announced by President Xi Jinping at the Belt and Road Forum for International Co-operation in May 2017. 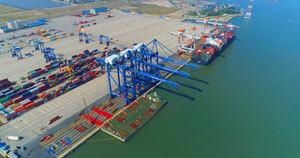 The weeklong event is being organised by the Chinese Ministry of Commerce and the Shanghai Municipal Government, with support from the WTO, the UN Conference on Trade and Development (UNCTAD) and the United Nations Industry Development Organisation (UNIDO). As an "honorary nation", Việt Nam has 25 prestigious and quality export companies in the categories of agricultural products, seafood, processed foods and trade services participating at the event.